Frank …. Need I say more? I had forgotten about that post, and coming across it made me wonder what had happened to Scorsese’s project. 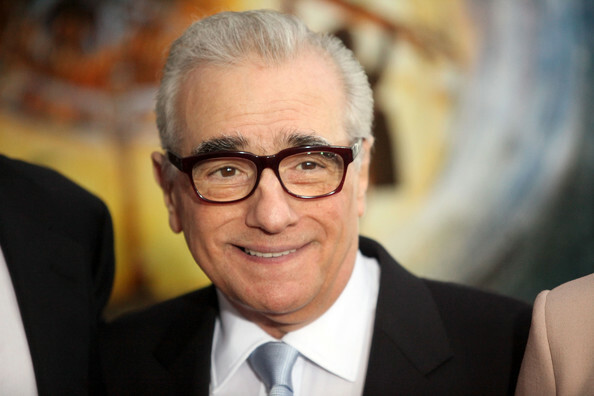 From what little I’ve been able to find out with no more effort than a couple of Google searches, Scorsese typically has several projects in the works at any one time, and the Sinatra movie is among those still turtling along. The most recent report I could find was posted in December 2013 on a site called The Playlist, and all the post added was Scorsese’s confirmation that “that project’s still going strong.” I understand that construction on the Cathedral of St. Peter in Cologne was begun in 1248 and completed in 1880, so I suppose everything is relative, as I was telling Professor Einstein just the other day. In a certain sense, I’m not interested in any of this. I have an aversion to movie or television biographies of folks who were my contemporaries and whose personalities were as strong and pervasive as Sinatra’s. Whether it were DiCaprio, Depp, or Danny DeVito, I wouldn’t be able to accept the actor as Sinatra. I had that experience when Brad Garrett played the title role in Gleason, a 2002 CBS movie biography of Jackie Gleason. Garrett did a creditable job in the part, I suppose, but he simply wasn’t Gleason, and I couldn’t get past that. Ask me to buy Howard Silva as Benjamin Franklin and I’m good, but not with someone who was a constant presence in my own lifetime. This is exacerbated, too, by the fact that I live in New Jersey, where by common consent we maintain the fiction that Sinatra was our guy, accept no substitutes. Oh, sure enough, he was from Hoboken and did his first singing in that neck of the woods — a figurative term even then — but he was much more of a Mr. Hollywood and Mr. Vegas and even Mr. Manhattan than he was a Mr. Hudson County. Perhaps he took Jimmy Durante’s remark too seriously: “I went to Hoboken to forget, and then I had to go to Hackensack to forget Hoboken.” That was before Hoboken was the high-rent district it is today. 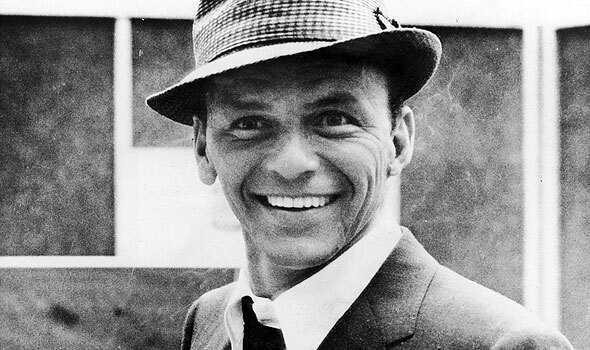 The issue of Sinatra’s connection to New Jersey came up in 1975 when I interviewed a playwright named Louis La Russo II who had written a gutsy play entitled Lamppost Reunion that initially ran for 77 performances at the Little Theater in New York. The play was set in the sort of fictional Lamppost Bar where the owner and a few of his friends reminisce about the days when they sang in a group with a character named Fred Santora (get it?) who is about to make an appearance at Madison Square Garden. After nearly forty years, I don’t remember the details very well, but I know that at least a couple of guys were proud of their background with Santora, but one of them was nursing some undefined resentment. Of course, while they’re discussing all this, Santoro walks into the bar, and the past becomes the present and at least one ugly secret comes out of the dark. In that first production, Danny Aiello played “Biggie,” owner of the Lamppost Bar, and Gabriel Dell, who was a well-known comic actor back then, played Santoro. I believe that play is still produced now and then. When I interviewed Louis La Russo, he told me that Sinatra’s “people” had let him know that they weren’t crazy about the resemblance between his character and Mr. Vegas, etc. I think La Russo was more amused than anything else. Although I never met Sinatra — what with him being All It and me being just this guy in Jersey —I did, through a process somewhat related to the “degrees of separation” phenomenon, socialize with his father, Anthony Martin Sinatra, known variously as Tony and Marty. 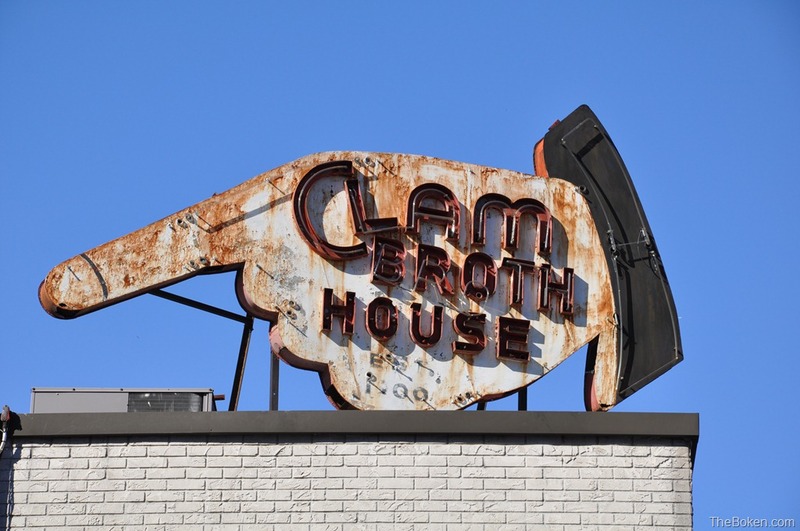 Because of a mutual friend, I had dinner with the elder Sinatra on several occasions in the early 1960s at the Clam Broth House, a Hoboken landmark that was condemned in 2004. I was in his company for several hours before I realized who his son was, because Marty, who ostensibly had been a paid fireman in Hoboken — in Hudson County, it’s best to use the qualifier when talking about folks who hold public-sector jobs — was an unassuming guy who was content with his own persona. 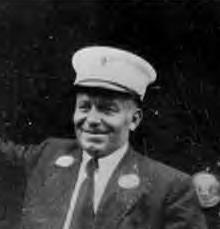 Eventually, he did tell me about his boxing career and about a mutual acquaintance, Jackie Farrell, who, Marty said, had put the arm on the owner of a local gin mill to give Frank and his companions their first paid job. Jackie, an amiable and helpful guy, weighed about ninety pounds and usually wore a brown suit. I knew him when he constituted the public relations department for the New York Yankees when the team was still being run like a mom-and-pop grocery. Among Sinatra’s musical moments on film, my favorite is his duet with Bing Crosby in High Society (1956). It starts at about 4:18 at THIS SITE. Director: Call casting and find us the lead! Producer: Call marketing and find us the lead! I saw Frank Sinatra Jr. on television singing the national anthem before the Belmont Stakes. Too bad he isn’t younger. He looks just like his old man. Well, as long as we’re playing six degrees of separation, I once dated a fellow whose dad partied hearty with Sinatra et.al. at the Clear Lake, TX Hilton, back in the days of fabulous NASA launch parties. Speaking of — one of the best lines in the video’s near the end of the duet: “Have you heard? It’s in the stars — next July we collide with Mars.” Apparently the doomsayers were out in 1956, too.